US NavyUS Navy SEALs in action. Scott Weaver confessed on Wednesday to firing multiple shots with his BB gun at a group of Navy SEAL cadets on a night-time training exercise in July. Police were called by the Navy and they found Weaver with the replica firearm in his back pack. He was firing on them from a river bridge in the Liberty Station area of San Diego. Weaver will likely get a year in jail from the San Diego Superior Court when he in sentenced on November 1. A California man pleaded guilty on Wednesday to firing “multiple shots” at a group of Navy SEALs in training on July 23 with his BB gun. Scott Weaver was arrested for firing on a “flotilla” of Navy instructors and SEAL trainees from a bridge while they were on a night-time exercise on water around Liberty Station, near San Diego, The San Diego Union Tribune reported on Thursday. After the Navy called police, they searched him, found a replica firearm in his backpack, and arrested him. ABC 10 NewsScott Weaver arrested by Police. His hearing was scheduled for the next day so Judge Walsh accepted his plea and will sentence him on November 1. He will likely get one year in jail. A charge of assault with a deadly weapon was dismissed in an earlier hearing, the San Diego Union Tribune reported. 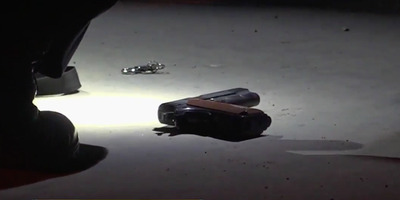 ABC 10 NewsThe BB pellet gun used to fire on SEAL divers and boats on a training exercise. 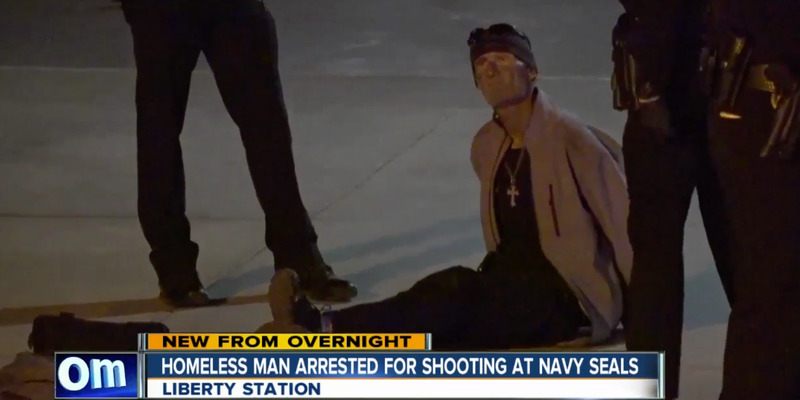 A Navy spokesman would not give details to press about what operations the SEALs were doing that night, but confirmed that the special-warfare unit does train in San Diego Bay. 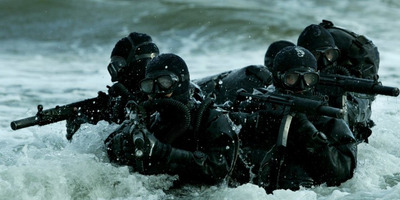 The special-warfare unit is also known as “SEAL Team 6,” famous for killing Osama Bin Laden in May 2011. It is not know whether Weaver knew he was firing on Navy SEALs when he started shooting.